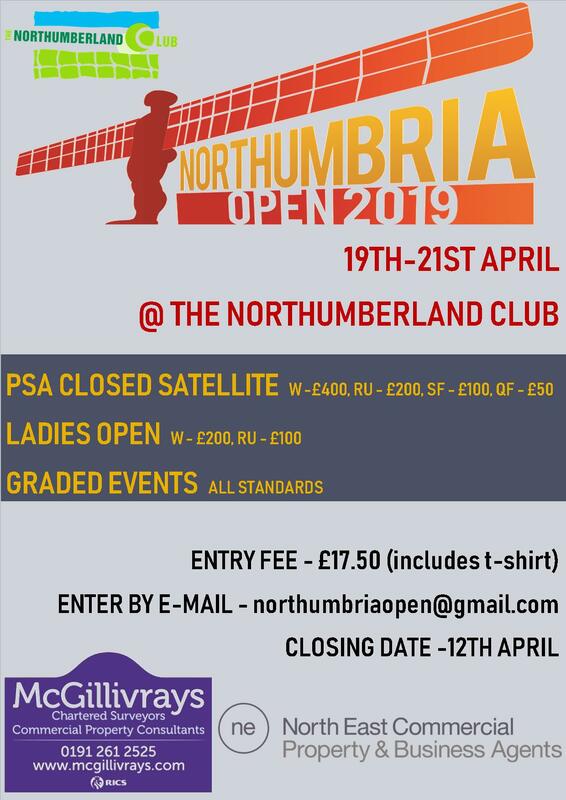 The Northumbria County Closed 2019 will be held at Tynemouth Squash Club between 23rd and 27th January 2019. The full list of events being held in the County Closed this year will be Men’s, Men’s graded Events, Men’s O45, Men’s O55, Men’s O60, Ladies, Ladies O40, Racketball and the ever popular Doubles events. The entry fee is £10 and £3 for any additional event. All entrants in the Championships must be current members of ESR at the time of participation. A player is qualified to play in the County Closed Championships if they have resided continuously in Northumberland for the three months preceding the start of the season (1st October) and are still residing. A residential qualification cannot be obtained through a school, university, college or other place of further/higher education or training unless a player’s bona fide (proper) home is in the same county as the school or university, e.g., unless they are a permanent member of the resident staff. The Championships are only open to players who have not played in any other County Closed Championship in the last 12 months. If not a British Citizen – Rights of Residency apply – A player must have resided (subject to all other points above) in the UK for 1 continuous year (365 days). 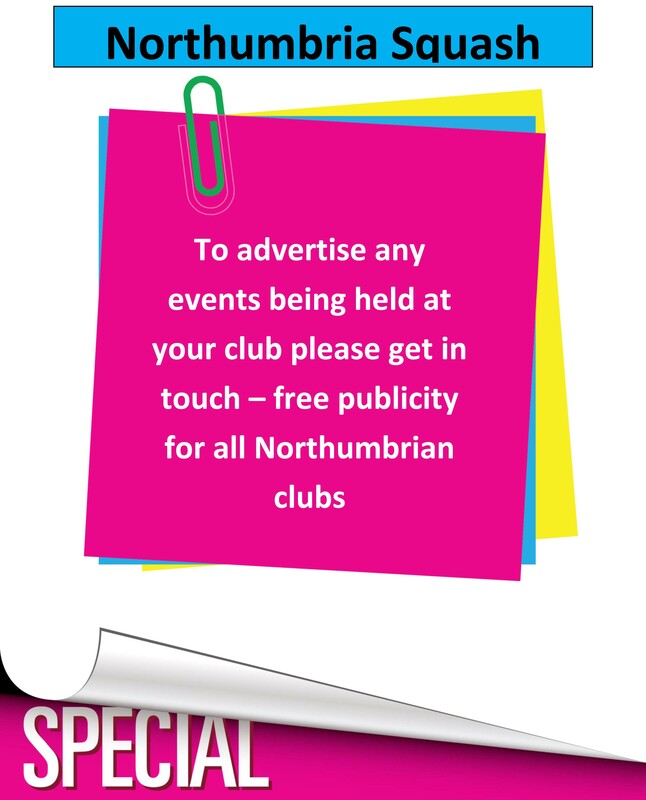 In all cases where a player’s qualification is in doubt, it is obligatory for the Player to prove the qualification to the satisfaction of the Northumbria Squash Rackets Association (NSRA). Please help to promote these events by printing out and displaying the poster & provisional schedule below on your club noticeboards so everyone gets to know it is happening, lets have another bumper entry this year! If you have any problems with printing out the poster & provisional schedule or require any further information then please contact dbsquash@yahoo.co.uk. Ray Rycroft will be Tournament Director once the competition is underway. Entries are via League Master ONLY (– see ‘Latest Tournaments’ on homepage).